Aim of the project is to create more attractive and safer territory for living in Lithuanian and Latvian cross-border regions of Židikai (Lithuania) and Kalni (Latvia). 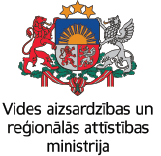 The project will help to develop social and entrepreneurship skills of local people by creating a Handicraft network in Židikai and Kalni communities. It will bring together communities of both countries, will change situation in the local labour market, will initiate cultural communication thus providing people emotional and social stability. During the project Lithuanian and Latvian language courses will be organized to enable basic communication between people across the border. Within created Handicraft network young people will learn to sew, to knit, to cook and to create souvenirs. Crafts fairs, family celebrations, educational children’s summer camps with crafts workshops and folklore festivals will be held in Židikai (Lithuania) and Kalni (Latvia). Various lectures on the entrepreneurship and the strengthening of the psychological climate of families will take place as well. The project will bring the benefits to about 20 teachers and other school staff, 100 students, and 80 parents, grandparents or other relatives of the children from both communities.